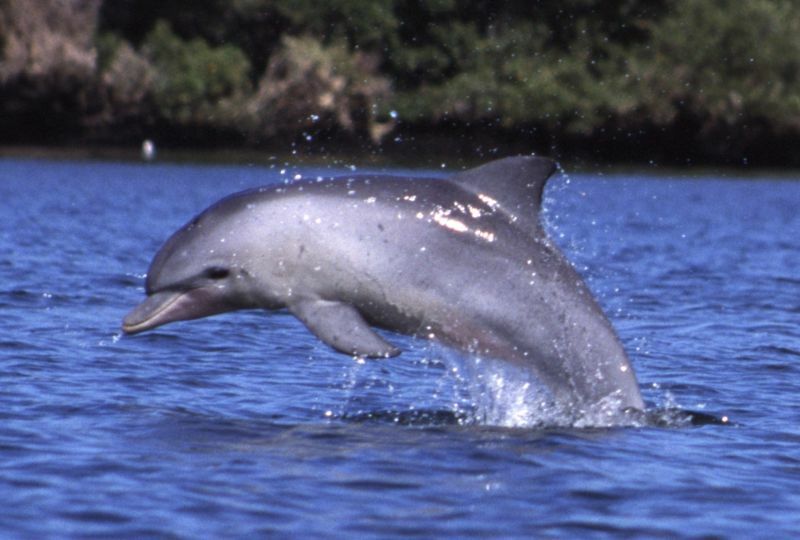 The Indo-Pacific Bottlenose Dolphins which is also known as Tursiops aduncus and it nearly resembles the Tursiops truncates but its body is more robust, moderately long beak, falcate dorsal fin, develops ventral spotting when it grows older, and smaller compare to the Common Bottlenose Dolphins. These dolphins are normally found in warm and temperate seas worldwide (it is named bottlenose due to the animal having a short rounded snout or ‘beak’ that looks like a bottle). 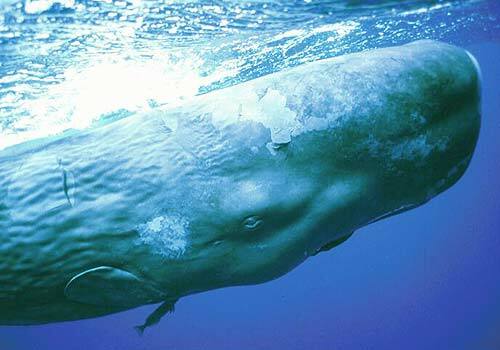 It is actually similar to small whales and falls under the category group known as ‘toothed whales’. Previously, it was known as T. aduncus but recently this type of dolphins has been split into two which is the Common Bottlenose Dolphin (T. truncatus) and the Indo-Pacific Bottlenose Dolphin (T. aduncus). In terms of looks, apart from its bottle-like snout, the mammals have a more slender body build along with a longer and slender beak. The Indo-Pacific Bottlenose dolphin’s also has more teeth than the common bottlenose dolphin with 23 to 29 teeth on each side of each jaw compared to only 21 to 24 for the common bottlenose dolphin. 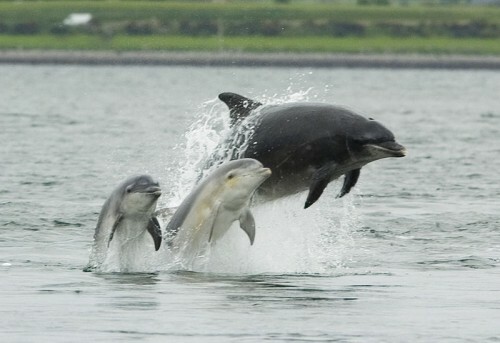 It normally has a dark grey back (blends with the deep dark waters below the sea) and a much lighter grey belly than the Common Bottlenose dolphins (blends in nicely with bright surface waters which enables it to disguise itself from potential predators like killer whales or sharks) or nearly white with grey spots. Newborn Indo-Pacific Bottlenose dolphin lengths are at least between 0.84 and 1.5 meters (2.8 and 4.9 feet) long, weighs in between 9 and 21 kilograms (20 and 46 lb), plus also able to live for more than 36 years. As for the adult Indo-Pacific Bottlenose dolphin, it is able to grow at least 2.6 meters long (8.5 feet) with its weigh can reach up to 230 kilograms (510 lb). However, the dolphin’s maximum size varies according to the surrounding and geographically marine life where its length and weight can goes up from 238 cm and 160 kg respectively for the male species, while the maximum up to 2.7 meter and 230 kg respectively. The Indo-Pacific Bottlenose dolphins can be found in temperate and tropical seas water (temperatures of 20-30°C, with a minimum of 12°C), coastal, inshore, rocky and coral reefs, or sea grass, and oceanic waters all over the world for instance in the waters around India, eastwards as far as Taiwan and south-eastward to the coastal waters of Australia, South China, Japan (Amakusa-Shimoshima Island, western Kyushu), the Red Sea and Persian Gulf (Kuwait and Oman); and widespread along the entire eastern coast of Africa (Zanzibar). The most popular spot to see the real-life Indo-Pacific Bottlenose dolphins is in Western Australia’s for example at the Shark Bay and at the North Stradbroke Island on the eastern coast of Australia. 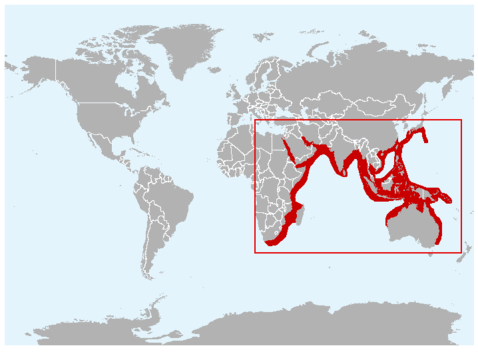 The diet of the Indo-Pacific Bottlenose dolphins consists of a wide variety of fish, cephalopods, squid and octopuses. 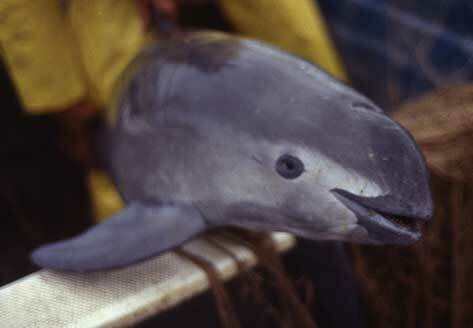 If the need arise, they also consume crustaceans because these dolphins usually eat large amounts of foods every day. They lives in groups that can sometimes reaches to hundreds in numbers but the common numbers within a group is usually ranging from 5 to 15 dolphins. They can also trap groups of fish or squid by working together within their group for instance, surrounding the victims before diving into the middle to feed them self. The dolphins normally hunt for their foods during the night. According to a newpaper article, some of these Indo-Pacific Bottlenose dolphins have been observed to even prepare cuttlefish like a Chef would. Apart from that, the Indo-Pacific Bottlenose dolphins are also not shy from being threatened especially from its natural predators namely the killer whales, tiger sharks and dusky sharks. Other threats for the mammals include entanglement in fishing nets like the trawling, drift and gill nets; the destruction of their habitats, sting rays, pollutions, disease (Morbillivirus), illegal killing especially in countries that kills the dolphins for food, plus the decreasing of their main food availability.